Orion II's Gulf of Siam and Thailand, Temples and the Mekong expeditions provide the opportunity to experience traditional and modern Asia from a different perspective, often far from the clutter of the big cities. From the flash of saffron robes in a Buddhist temple to the remote crystalline beaches of Tioman Island and the bustle of floating market stalls on the Mekong, these 7 night voyages combine the sensory contrasts of Asia into never to be forgotten experiences of sights, sounds and smells that encapsulate South East Asia. 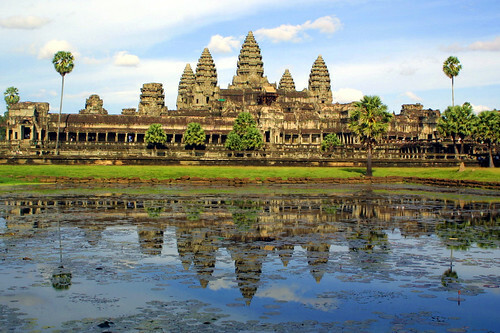 Take an early morning elephant ride through the templest the world's largest religious complex, the World Heritage listed temples of Angkor Wat, to see first-hand the technological and architectural wonder of the ancient Khmer kingdom. Cross the broad muddy waters of the Mekong Delta and mix it with the locals on an exclusive Zodiac exploration of the river and floating markets – Orion II being the first foreign ship to be granted permission to do this. Bargain for batik, beaten brassware and shot silk in dazzling colours, sip a dry martini, lounge on a untouched beach, snorkel transparent waters and photograph sampans with their distinctive timber hulls and sun-bleached yellow sails. These two itineraries reveal a balance of history, culture and relaxation that capture the energy of bustling modern Asia balanced by the serenity of the ancient.